What is KeyReturn – it is your branded keyring with a secure return service. KeyReturn is convenience, branding and loyalty all wrapped into one promotional branded keyring. A promotional item like no other. The KeyReturn keyring system benefits customers and clients alike. Insurance for their keys and insurance for your brand. 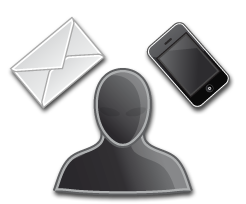 KeyReturn will give your clients keys and your brand the best possible protection you can get for YEARS !! 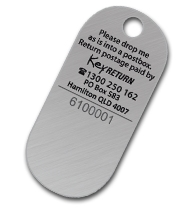 KeyReturn is a fantastic secure key return service, if you lose your keys, anyone who finds them can simply drop them unpackaged into the nearest post box and they will be returned to the rightful owner. People use keys all day, every day. Place your company brand on an item that is used constantly and one that has great practical benefit. It’s your brand in your customer’s hand for years!